In 1983, Charles Curtis graduated at the top of his class from the UBC Physical Education Program. This was the genesis of a journey that would see the combination his love of sport, fitness, wellness and helping others. During and after his university days, Charles worked with local athletes in the BC, national and international Summer and Winter Disabled Games program. He volunteered as a cross country ski, track and swimming guide for the BC and the Canadian visually impaired athletes team. In 1985, Charles began fitness and lifestyle guidance services – customizing individual programs and personal coaching for clients in Vancouver. In December 1985, Curtis Personalized Health Management Ltd was born. The company’s focus on unparalleled service, programming, training excellence and a desire to help people make a positive and notable difference in their lives, resulted in clients making significant gains and goal achievements. A rapid growth of service hours and establishing a top-notch team of personal trainers followed. Through those years, Charles and his team gained notoriety in the fitness, health and entertainment industry, training select clients, athletes and some of the worlds’ best known entertainers such as Jon Bon Jovi, Aerosmith, Motley Crue, Poison, Loverboy, Matthew McConaughey, Richard Dreyfus, and many more. After the early success of the company, Curtis Health soon evolved from individual program design and personal training services, to company sponsored employee fitness, health and wellness programs in the early 1990s. These included services such as fitness testing, challenges, incentive points programs, workshops and group exercise programs and fitness centre management. With such vast experience in preventative health, fitness and wellness solutions and an eye for opportunity, Curtis Health expanded to the newly flourishing field of rehabilitation in the mid 90’s. In response to the growing need for activity-based rehabilitation services, Curtis Health pooled its resources with Drake Medox Health Services (Professional Services Division) resulting in the formation of Drake Medox – Rehabilitation Solutions. This included a network of diversified and clinic locations, offering a broad range of physical injury recovery management and prevention programs. Around the same time, Charles Curtis purchased and built three boutique fitness centres in Vancouver, Whistler and Squamish. Eventually as the growth of corporate fitness began to take more and more time and attention, Charles sold the fitness centres to focus on the workplace wellness. In 2001, another joint venture “12 Weeks to Wellness” Health Coaching was established. This is a behavioural change service with health and wellness coaching which was incorporated in 2011 as “12 Weeks Inc”. During this time, Charles also co-authored three workbooks on goal setting and behavioural lifestyle and healthy living change. As the sole owner of Curtis Health and 12 Weeks to Wellness, Charles is responsible for business development, major account issues, team support and new program and company directions. 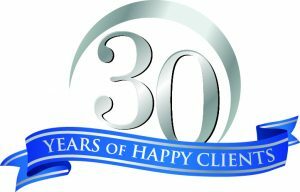 To this day, after 30 years, both the Curtis Health and 12 Weeks Inc., continue to expand, evolve and flourish under the support and leadership of growing and capable management teams.